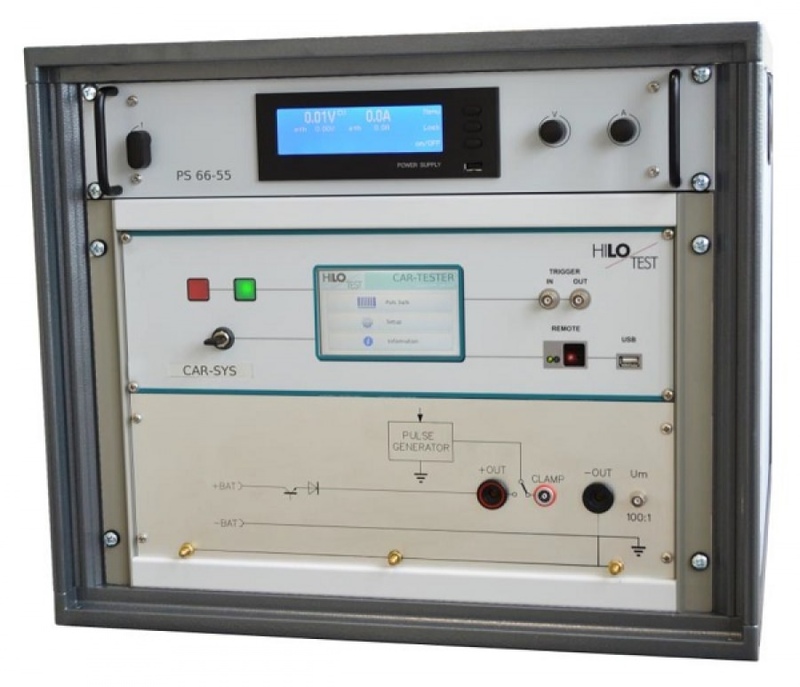 Hilo-Test GmbH was founded in 1978 and already the next year, the first pulse generator was developed and sold. We are the largest and oldest German manufacturer of EMC devices with a very wide range of products. 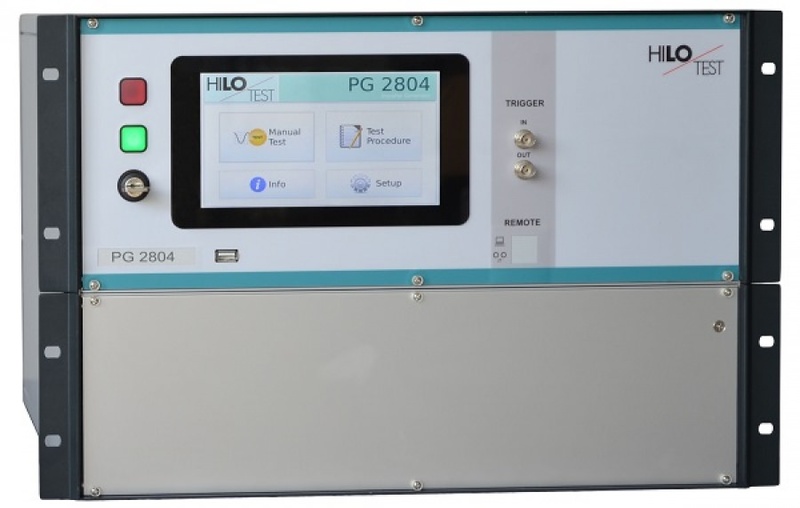 Hilo-Test equipment offers the capability to match most test routines exactly to spec and to modify existing spec-based routines as required. Test routines are easy to handle, sophisticated and technologically state-of-the-art. Software programs are exceptionally simple and generators are extremely reliable. The specific EMC requirements in automotive tests take continuously, so that the test waveforms are becoming increasingly complex. 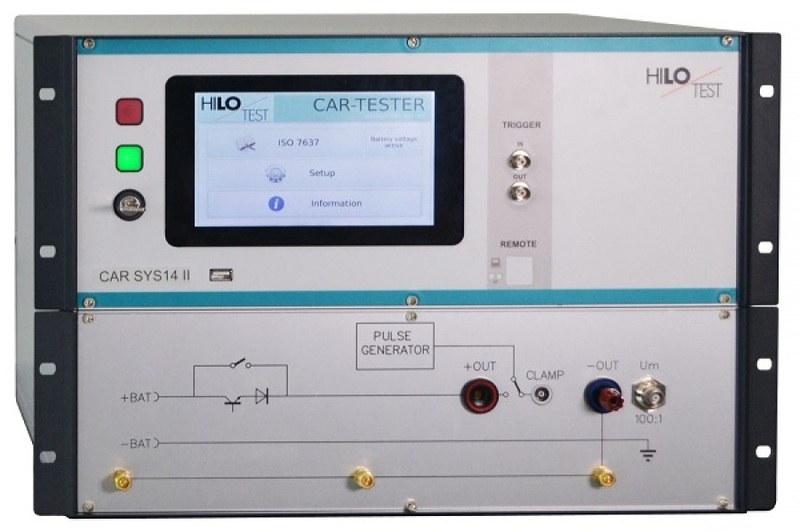 As a manufacturer of EMC test simulators and due to the participation in international standardization bodies Hilo test knows the current and future requirements of the automotive industry exactly. 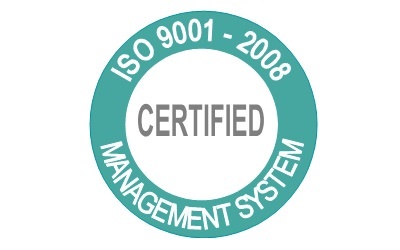 The following automotive products are specifically geared to the current EMC requirements in modern automobile, and described in the standards ISO 7637 and ISO 16750. 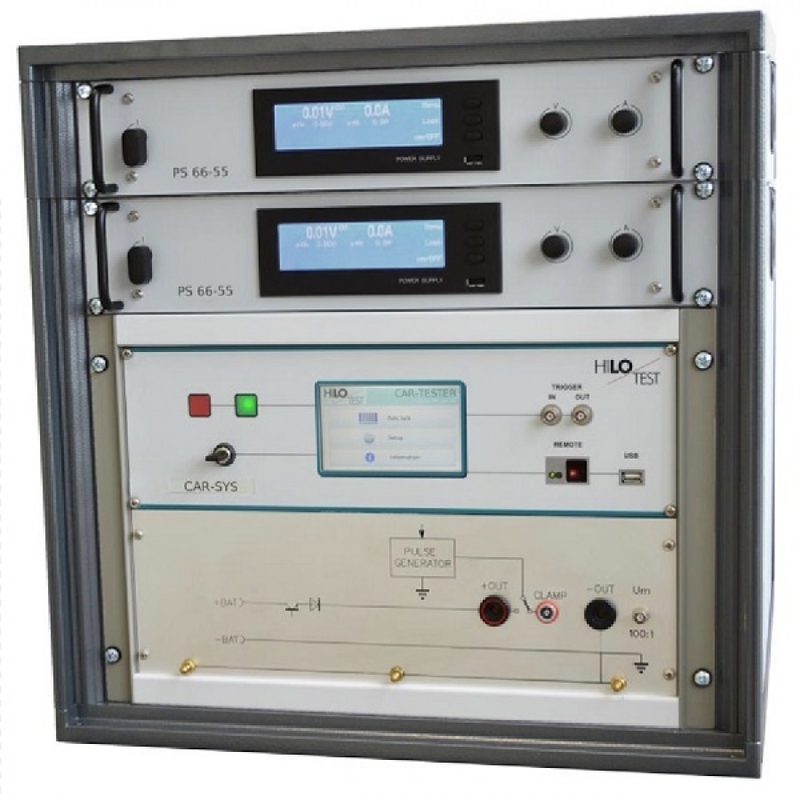 The EMC test system is designed for testing electromagnetic immunity of the electrical installation of vehicles and components against supply line transients. 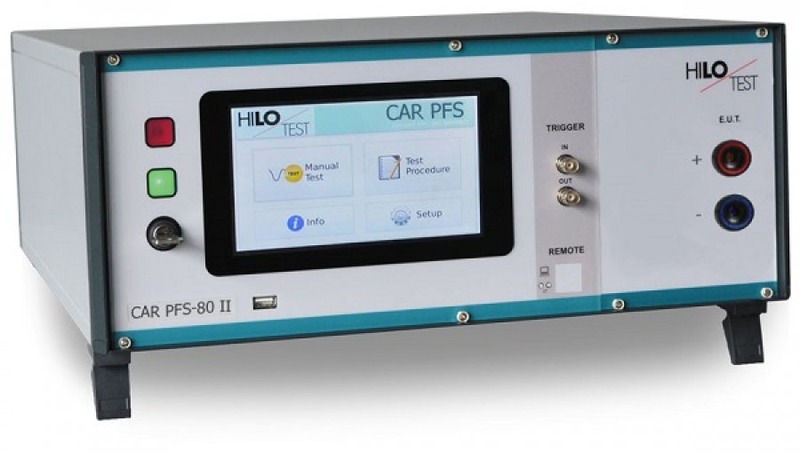 The CAR-PFS-80 is an automotive power fail simulator, which is designed for performing fast voltage dips and drops (micro-interruptions) according to standard requirements, mainly from vehicle manufacturers. The electronic switches in the generator allow switching times below 1 microsecond. 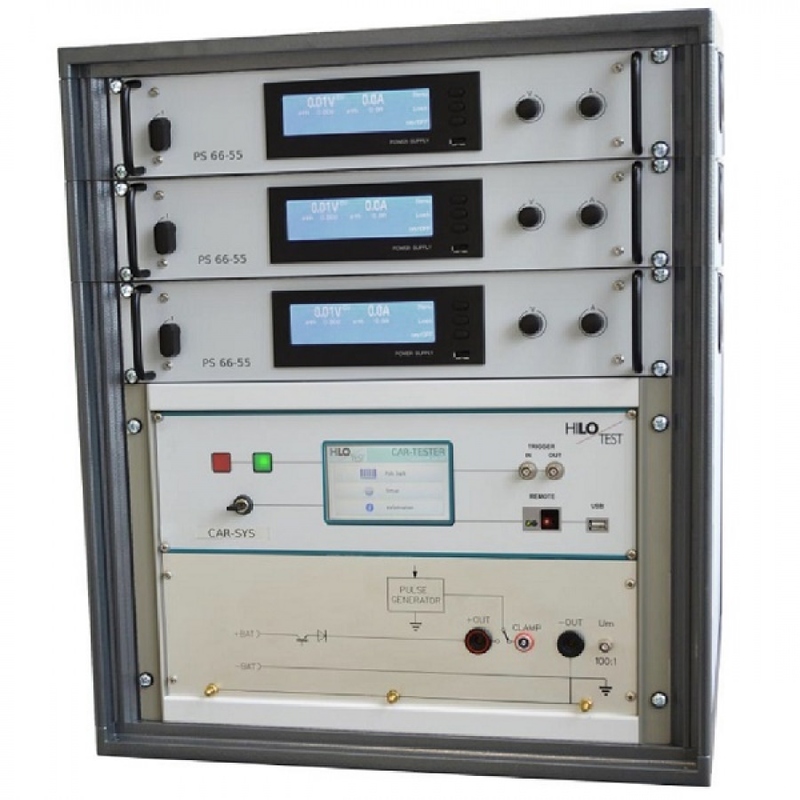 Compact EMC test unit designed for testing electromagnetic immunity of the electrical installation of vehicles and components against supply line transients. PG 2804 includes generation of pulses #5 / Test A and Test B. It is designed to be connected to the power supply interface of the CAR-TESTER. Power Supply to expand the CAR-SYS 14 for the tests "Superimposed alternating voltage" of ISO 16750-2.